Against the historical backdrop of successive socialist and post-socialist claims to have completely remade society, the contributors to this volume explore the complex and often paradoxical continuities between diverse post-socialist presents and their corresponding socialist and pre-socialist pasts. 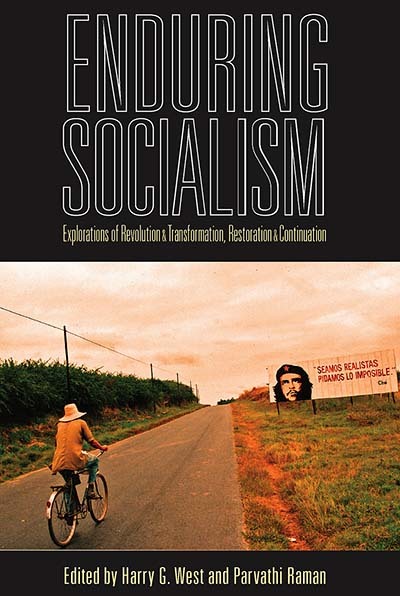 The chapters focus on ways in which: pre-socialist economic, political, and cultural forms in fact endured an era of socialism and have found new life in the post-socialist present, notwithstanding revolutionary socialist claims; continuities with a pre-socialist past have been produced within the historical imaginary of post-socialism; and socialist economic, political, and cultural forms have in fact endured in a purportedly postsocialist era, despite the claims of neo-liberal reformers. Harry G. West is Reader in Social Anthropology at the School of Oriental and African Studies (SOAS). His research in northern Mozambique has examined how colonialism, revolutionary socialism, and post-socialist political and economic liberalization have reconfigured institutions of local authority. Parvathi Raman is a Lecturer in Social Anthropology at the School of Oriental and African Studies (SOAS). Her research in South Africa explores the historical impact of Indians in the South African Communist Party, and their contribution to the struggle against apartheid.